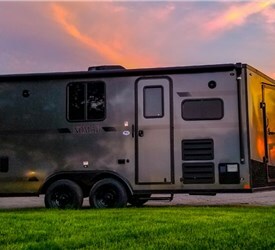 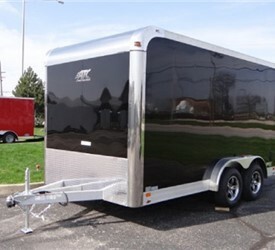 As the largest ATC dealer and premiere custom trailer provider in the Chicagoland area, Advantage has an excellent selection of Toy Hauler trailers. 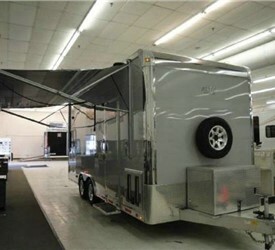 Our goal is to provide lasting quality, value and durability, and we always aim to exceed expectations. 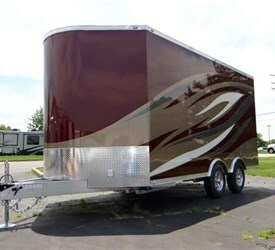 Each and every one of our Toy Haulers is built on durable frames that are lower to the ground and functionally efficient for loading automobiles. 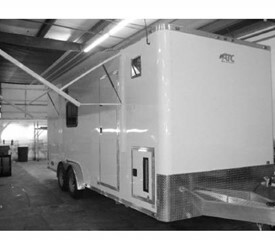 Our design and fabrication crews are experts when it comes to building these types of rigs, using their years of training and experience to deliver the best custom-crafted solutions. 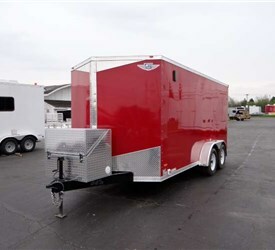 They’ll leverage their artistic talents and our slew of materials to build you a trailer that is both aesthetically pleasing and efficient. 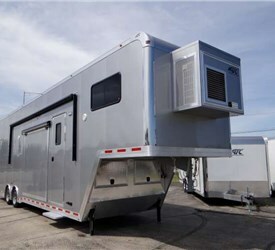 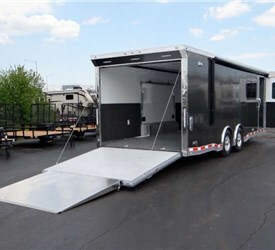 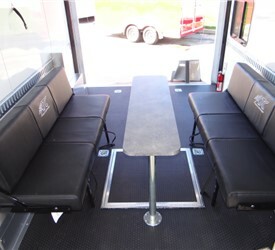 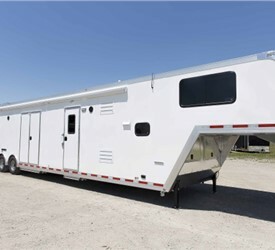 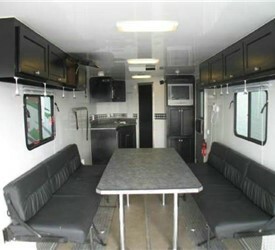 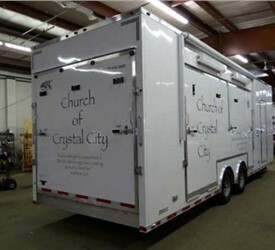 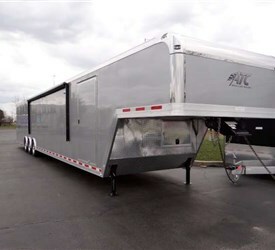 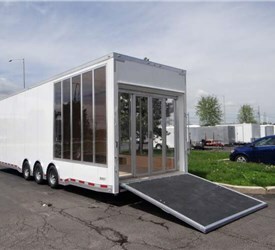 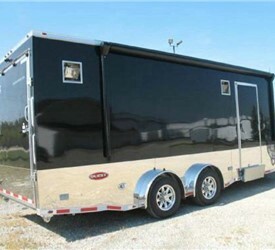 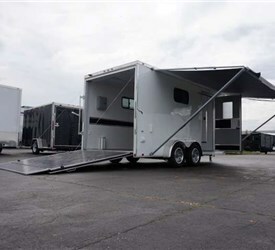 Additionally, we also offer custom living quarter trailers by ATC. 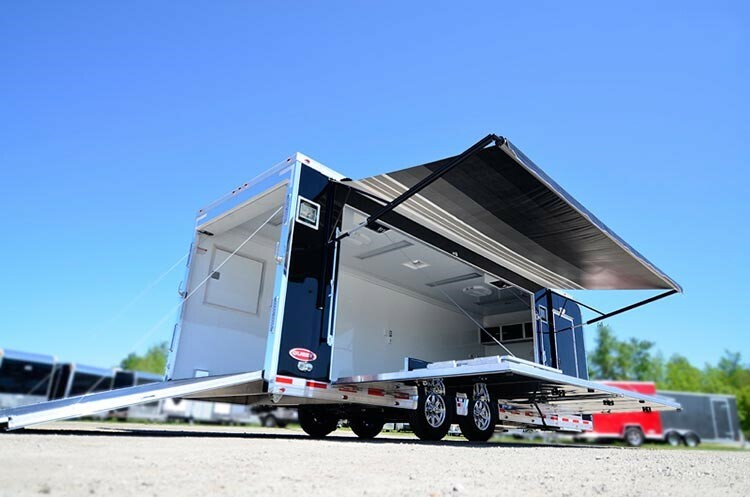 With two consecutive “dealer of the year” wins, Advantage can build you a rig that is just as comfortable as your living room. 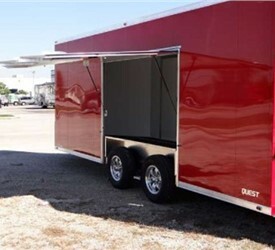 On top of installing furniture and cabinetry, our professionals are also capable of setting up appliances and running electrical wires throughout your trailer. 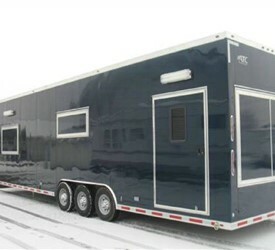 For the exterior, we use rust-free, lightweight aluminum materials.